MIE Seminar Series: "Statics of an inverted cup in water and application to wave energy extraction"
We consider the static stability of a class of ocean and marine structures that support air chambers open to sea. These structures range from concrete caissons with a honeycomb structure at their base, to floating oscillating water columns that can extract wave energy. Conventional hydrostatic principles – demonstrated by inverting a cup in water – suggest that the stability of these structures is weakened considerably by the internal free surface. My research on floating caissons, backed by experimental data, showed that entrapped water within each air chamber offsets the free surface effect and enhances stability. As the geometric scale increases, air compressibility becomes more important and tips the balance. These findings are applied to the case of an oscillating water column with a power take off arrangement. The connection between power extraction efficiency and static stability is explained. 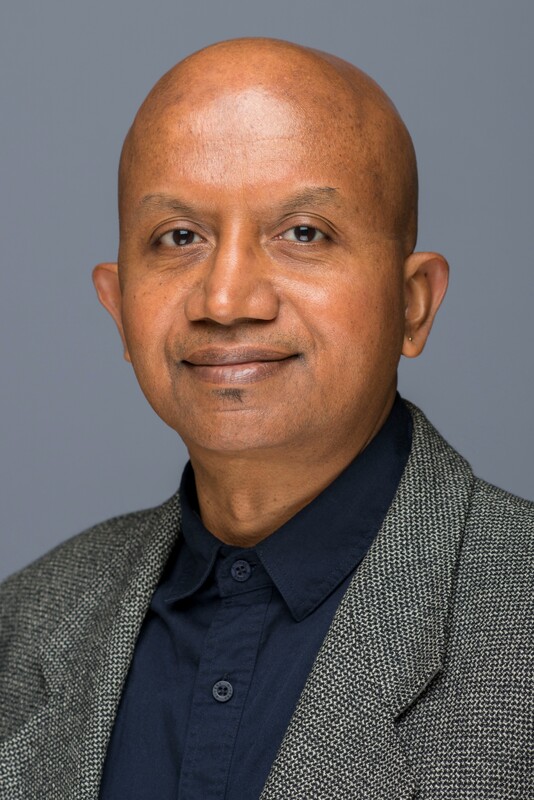 Krish joined UMass in 2018 as the inaugural Endowed Chair in Renewable Energy. From 2011 – 17 he was a professor and chair in energy at the University of Maine, and prior to that a professor at the University of Western Australia. His research spans the design and analysis of offshore energy generating systems (particularly wind, tidal and wave power) and in the interactions between the ocean environment and human-made systems for energy (oil and gas, renewables) and food production (aquaculture).